Click here or on the donate button to donate via Paypal or credit card to Friends of Herrontown Woods! Note for gifts in someone's memory: Look for the "Add special instructions to the seller" link that will appear during the donation process. FOHW is not a "seller", but click on the link and type in your instructions. Or donate by check: Checks made out to “FOHW” or “Friends of Herrontown Woods” can be sent to 139 N. Harrison St, Princeton, NJ 08540. 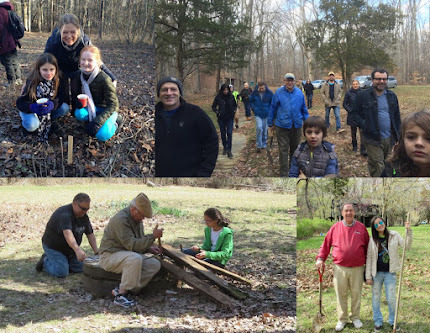 Every donation large or small builds momentum for our historical preservation, education, trail maintenance, and ecological stewardship initiatives. Fundraising is a critical component of our initiative to repair Veblen House and Cottage, and make them an asset for Princeton. FOHW is a 501c3 nonprofit, EIN# 47-1842281. Donations are tax deductible. We also welcome volunteers. Please contact us through the Contact page.